One girls social diary of all things SWAG related and the VIP events where you can find it. Welcome to the swag suite! 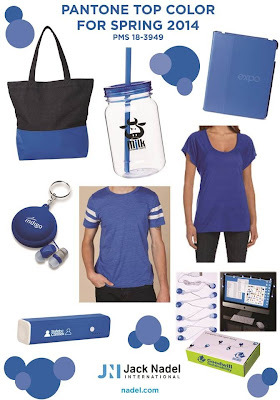 As we head into fall we are forecasting fashion, products, colors and trends for next year, 2014 already. In this photo is a sampling of the HOT color for Spring 2014. You will subtly see this colors invade your space! With the rise of the foodie I have to believe fun kitchen accessories are in high demand. 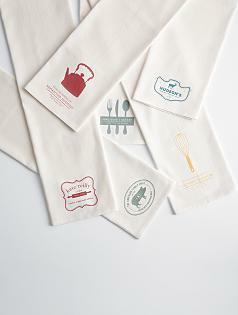 This kitchen dishtowel set inspired me to create a "like" product for a client project for Halloween. We are creating clever little Halloween designs for the client and will discreetly brand the packaging. Also included in my kits are custom Halloween cookies! Super duper cute! 19.6 Billion was spent on Swag products this last year. The Swag Suite pays respect to clever branded swag, the creative minds behind the scenes of marketing & event planning AND the VIP red-carpet events where you can find it. "THE SWAG SUITE BLOG" has been picked up by the ASI-ONLINE Magazine as an industry resource. Professionals in the ASI Industry will have unlimited access and their very own VIP CARD to THE SWAG SUITE for learning purposes. They will be able to reference the fab events I attend and write about for inspiration, trend forcasts and project ideas! My friends at MyStyle.com grace THE SWAG SUITE periodically with their advice on swagable product trends and picks! http://www.mystyle.com/ for the full scoop. 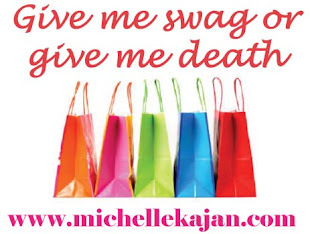 michellekajan.com. Picture Window theme. Powered by Blogger.